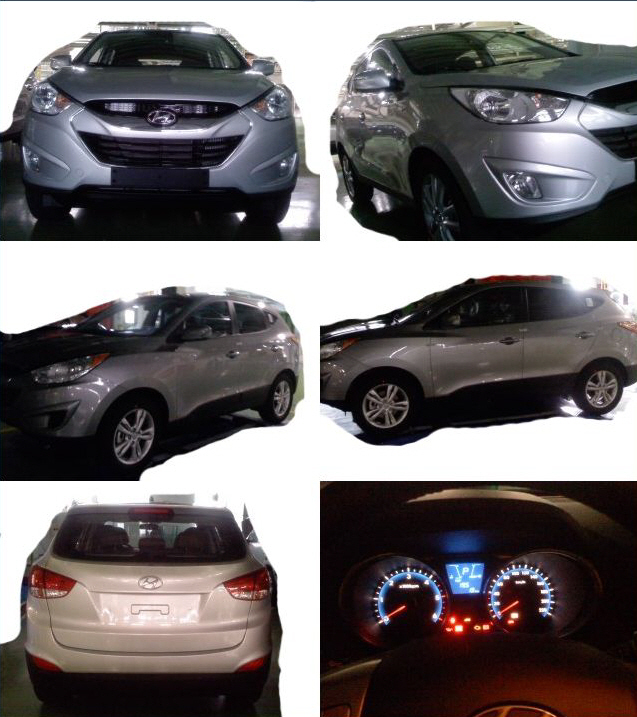 Hyundai Tucson 2011 images show the production-ready model completely undisguised. At the upcoming Frankfurt Motor Show, Hyundai will officially unveil the all-new 2011 Tucson crossover. Next generation Hyundai Tucson has recently been spotted un-camoed in Australia while on filming for one of the upcoming Hyundai TV Commercials. That was the first time that we could have seen the 2011 Tucson completely undisguised. Today, we are bringing you a new series of close-up Tucson images, previewing the car from different angles. For the first time, you can see the rear-end of Tucson and one of the pics also provides a sneak-peak at its interior, which is expected to be far superior -in terms of design and quality- compared to the current model. New Hyundai Tucson sports Hyundai’s new signature grille that has first been seen on ix-onic concept car. Following the brand’s latest naming technique, the new model is expected to be called the Hyundai Tucson when it goes on sale in Europe, while in the US, the model will retain the Tucson nameplate. As we reported before, the all-new Hyundai Tucson will be powered by a series of turbocharged petrol and diesel engines. It will also be equipped with Hyundais brand-new six-speed automatic transmission. The all-new Hyundai Tucson is expected to make its official US premiere at the upcoming L.A. auto show in November, while it should go on sale (in the States) early next year, possibly as a 2011 model year.